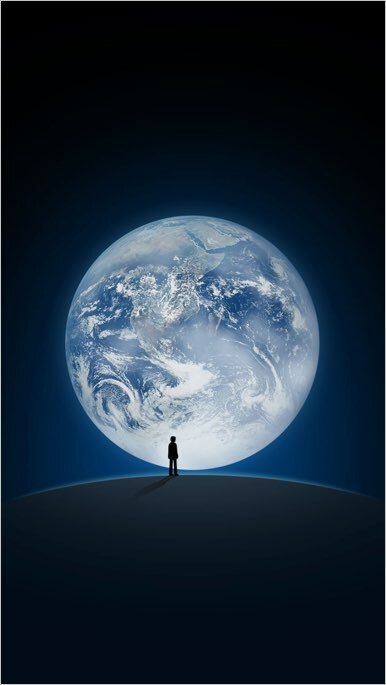 China is a different country and expats will find this fact soon after landing on the country. The tech developments happen very fast and people use electronic items you might never seen in any other part of the world. Being a foreigner, you will get lost if you are not prepared for the worst. The best part is the smartphones like iPhone can help you to live without struggle and without getting into language problems. Here are the top 10 apps for foreigners in China to make the life easier. Related: 5 reasons why you need VPN in China. 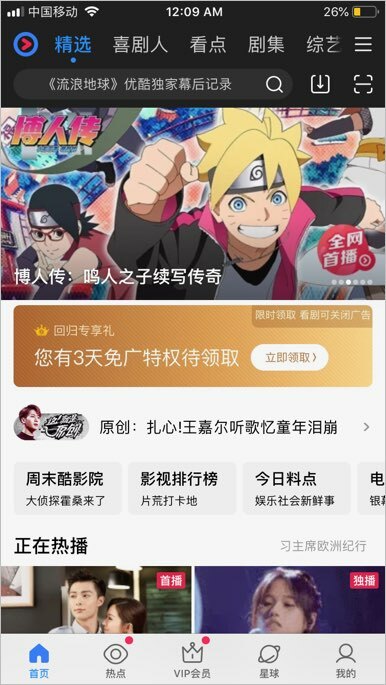 Remember that VPN apps will not be available in Chinese App Store. You need to change the store to install the app. On other hand, other Chinese apps will not work when you travel outside side due to the legal restriction. For example, YOUKU will not stream videos when you are outside China. WeChat is an ultimate app and you can’t live in China without using this app. This is a combined platform of Facebook, Twitter and also offer money transfer. You can easily find friends, chat with them and share your memories in timeline. Ensure to have a verified WeChat Pay account by adding your local bankcard. With this you can say goodbye to your physical wallet and pay to anyone by scanning the QR code using WeChat app. WeChat also offers additional services like taxi booking, cycle sharing and many other services. However, most of the services will be in China and you may not be able to use. Remember, though WhatsApp will work in China, the image and video content is filtered resulting in slow or no response. The second app you may need for financial transactions is AliPay. You can buy things online and transfer money internationally through wire transfer using AliPay app. There are many video-sharing platforms in China. YOUKU is one of the biggest and most popular platforms. The good part is that you can find movies video clips from many languages. You can also try other apps like IQIYI to view the latest English movies for a premium account. Pay few RMB to purchase a movie online and view coolly from your house. It is always a tug off between the government and the VPN companies in China. Apple removed all VPN apps from Chinese App Store due to government regulations. However, you can find reliable apps like ExpressVPN from other country’s App Store to use in China. ExpressVPN has many mirror sites to update the connection status in China and always support immediately when there is a connection problem. You can unblock all websites like Facebook, Twitter, Google and Netflix using ExpressVPN app. This is a must app for foreigners to get connected to outside world. Google is blocked in China and you have no other option than Bing for search engine. Though Baidu is the most popular search platform in China, you can’t use without knowing Chinese. Bing is a life safer for most of the foreigners to search online content and find details. If you want to keep yourself updated with the local and global news then China Daily app is for you. This is one of the app you can get news in English. Though the local news is biased, global news is still unbiased. You can also use CNN app, however, it will be very slow in China. Related: 10 popular global websites that are blocked in China. Living in China can lead to health problems especially if you are from western countries where air quality is good. In China, the air quality level is very bas though it is improved a lot recently. 80 to 100 PM2.5 is common and good in cities like Beijing while it is moderate level of pollution as per Air Quality Index. 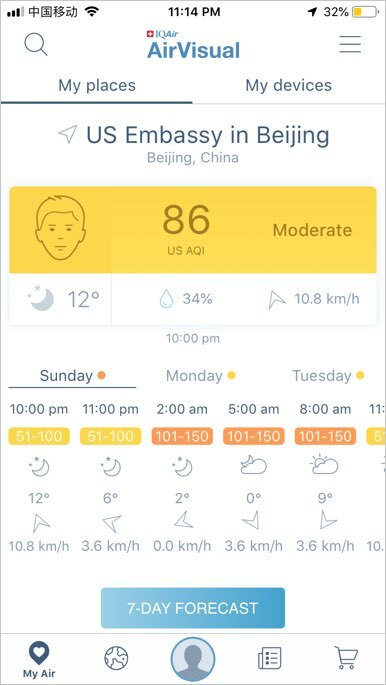 So you need this AirVisual Air Quality Forecast app to monitor and wear mask when the pollution is high. With all the global social networking platforms are blocked, you are left with LinkedIn. LinkedIn app will work without interruption and you can find your global colleagues to chat with you. Bicycle sharing is very popular in major cities of China. With the fall of Ofo, you can use the Mobike app in English. You can scan the code using Mobike app and ride the cycle anywhere in the city. The payment is done through WeChat or AliPay after the ride. WeTalk is one of the popular apps for making local and international calls for nominal rate. Purchase a few dollar plan and talk to your families and friends using premium quality phone line. You can also call the WeTalk users for free. Didi is China’s Uber, a taxi-sharing platform. However, the app is in Chinese and you need to talk with the pickup driver in Chinese. There are so many other apps you can try out in China. For example, translation apps will help you to convert English speech into Chinese. Even apps like WeChat offers built-in translation for converting messages and documents to English language. Start downloading the apps and have an easy life.